First AMFM Market Manager for Los Angeles and Denver. 12 stations, 600 employees, $300 million in cash flow and 50% operating margin. Pioneered Jammin' Oldies format with MEGA 100 Los Angeles. Increased station revenues from $7.4 - $28.5 in three years. Dethroned heritage CHR leader KMEL in San Francisco with WILD 94.9 in 18 months. Improved station's cash flow up from $2.3 million - $15 million in three years. First GM position at age 30 at Jacor's 103.5 THE FOX in Denver. 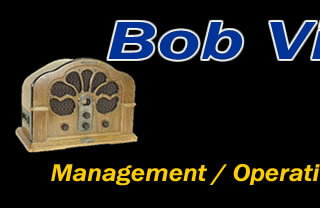 It remains one of the most successful classic rock station in the Country. · Rose over $60,000,000 in venture capital for acquisitions nationwide. · Evaluated over 50 specific deals and transactions. · Responsible for 60 stations in 15 markets.
. from $6 to $17 in six months. · Assembled new management and sales team.
. Instrumental in start-up of KXOL Los Angeles.